The “Jack Noel Henderson Scholarship”, was established to assist students, experiencing financial hardship, during the second year of their full time pharmacy course. Offered to students who wish to study at Japanese universities as postgraduate students. Offered to students who wish to study at Japanese universities as undergraduate students. The Fund offers scholarships to students who are enrolling full-time for a first under-graduate degree in Japanese language, or Japanese language conjoint with a second degree. The purpose of this scholarship is to encourage top students to continue with their Japanese study at tertiary level and to consider combining it with another discipline. Preference will be given to those studying a conjoint degree or double major, but not at the exclusion of those who are studying a Japanese specific degree. If you are interested in living and studying in Japan, improving your Japanese language skills, and having a fully funded overseas exchange experience, this scholarship is for you! Take a look at the guidelines linked below and apply by February 15, 2019! To financially assist a student who has been accepted onto a certificate, diploma, undergraduate or postgraduate degree programme within Te Ara Poutama at AUT University. 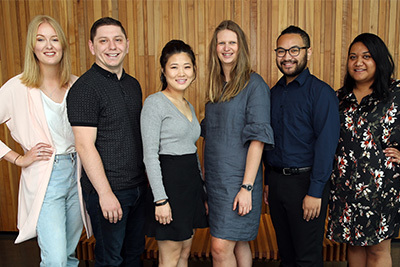 The award, available to Citizens and Permanent Residents of Australia, Canada and New Zealand, is designed as an incentive for students of high academic achievement who have a severe disability.